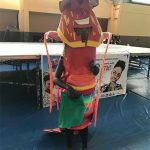 The Turks & Caicos Islands Tourist Board in collaboration with the Ministry of Tourism, Environment, Heritage, Maritime and Gaming hosted its annual Youth Explosion on Friday March 1st at the Gustarvus Lightbourne Sports Complex in Providenciales. 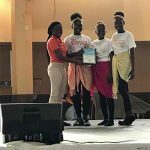 The event featured a Spoken Word Poetry and Dance Competition among high school students based on the theme ‘Tourism is Key…It Starts With Me’. Additionally, this year’s event saw the addition of a Plastic Bag Ban Mascot Competition sponsored by The Office of the Premier. 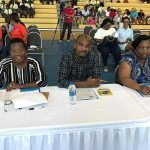 Ms. E. Blythe Clare, Training Manager at the Tourist Board and coordinator of Youth Explosion, remarked “Every year Youth Explosion continues to receive tremendous support from the high schools and the event has grown bigger each year. As always, the competitions were stiff and we appreciate the hard work of the students to prepare for the event. We welcomed the opportunity to partner with The Office of the Premier to include a Plastic Bag Ban Mascot Competition this year. The aim of the Plastic Bag Ban Mascot Competition was to promote the ban on single use plastic and Styrofoam, no littering, as well as ocean preservation. 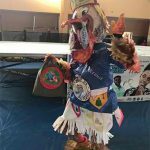 We challenged the schools to design an original character inspired by the Turks & Caicos Islands and we were very impressed by all of the mascots and the creativity displayed”. 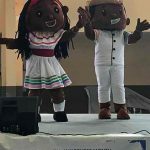 The high spirited event, which featured appearances by the TCI Doll mascots and performance by the Ianthe Pratt Primary School, concluded with an award ceremony. 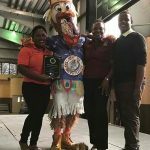 The Raymond Gardiner High School and Clement Howell High School each received plaques for topping the competition in the Spoken Word Poetry and Dance competitions respectively. The Clement Howell High School Tourism Club received an additional bonus as winners of the Plastic Bag Ban Mascot Competition in the form of a $2,500 prize courtesy of The Office of the Premier.